Deluxe version of the PRC4 Evo incorporating a rest for the vacuum arm and a hinged clear acrylic dust cover. Loricraft PRC4 Deluxe Record Cleaning Machine, like the PRC4 Evo, features a heavier-duty and even quieter vacuum motor than the PRC3 which already has a very effective and quiet motor. 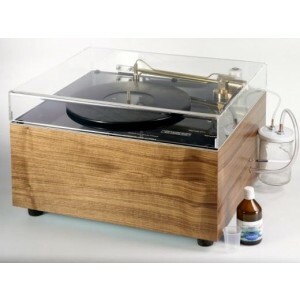 It features a cabinet that is encased in real wood veneer with a rest for the vacuum arm and a hinged clear acrylic dust cover. 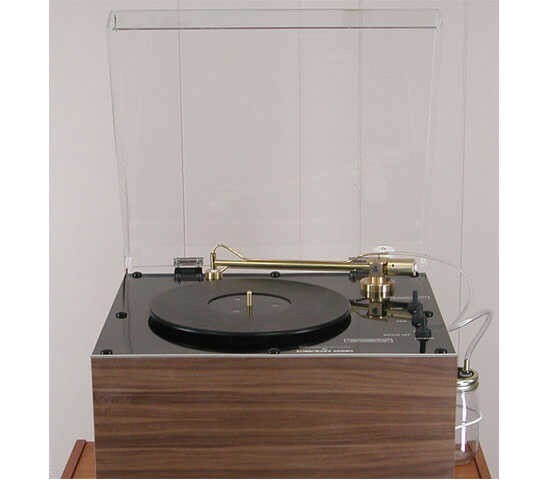 It can be run 24 hours a day without overheating and the quiet motor allows you to listen to records on your hi-fi system while using it. All switches are jacketed with rubber covers to protect against spillage. The platter can be rotated in either direction. Less than a minute is all it takes to clean each LP side thoroughly, leaving the grooves completely dry. Any record cleaning solution can be used but one bottle of the LoriCraft recommended L’Art du Son cleaning fluid is included. This needs to be diluted with distilled water. The antistatic nylon thread is manually drawn out a few millimetres before each cleaning so that the record is only ever touched by a small, clean, soft surface. Vacuum suction is concentrated in a tiny nylon nozzle tip that rides on a nylon thread, thus focusing the suction action and protecting the record surface at the same time. Available in black finish, or walnut or cherry veneer. 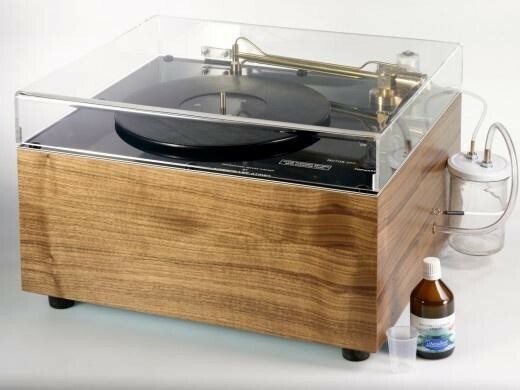 The Loricraft PRC4 EVO is a heavy-duty record cleaning machine used by record libraries, used record shops, and serious record collectors all over the world.